Between Mooi River and Pietermaritzburg in the KZN Midlands just off the N3 freeway, you'll find the town of Howick, named after Earl Grey, secretary of state for the British colonies when the town was established in the 1800s. It's in this little town that we decided to establish Azalea B&B accommodation. Two main attractions lure people to this region: one is the ancient Howick Falls waterfall, the other the Nelson Mandela capture site, where Nelson Mandela was arrested in 1962. To make your stay away from home as comfortable as possible. Howick; the rest we'll take care of. Whether you're staying in our valley for a few days of Midlands Meandering or you're on your way elsewhere, we have suitable accommodation for you. Read more about our rooms. Apart from a comfortable room, Azalea offers guests a flexible breakfast menu, access to a garden and other amenities. If you'd like to learn more about our establishment or the town of Howick, please visit the contact page, where you'll also find our cancellation policy and arrival and departure schedule. *KwaNogqaza means Place of the Tall One in zulu, in reference to the height of Howick Falls. 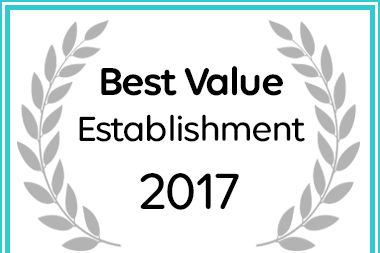 Azalea Bed and Breakfast in Howick has been awarded a Best Value Establishment. 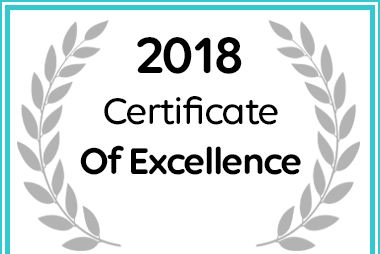 Azalea Bed and Breakfast received a Certificate of Excellence for 2018. 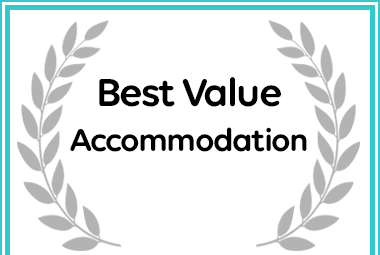 Azalea Bed and Breakfast receved a Best Value Accommodation Award from Afristay. Copyright © 2019 Azalea Bed & Breakfast.